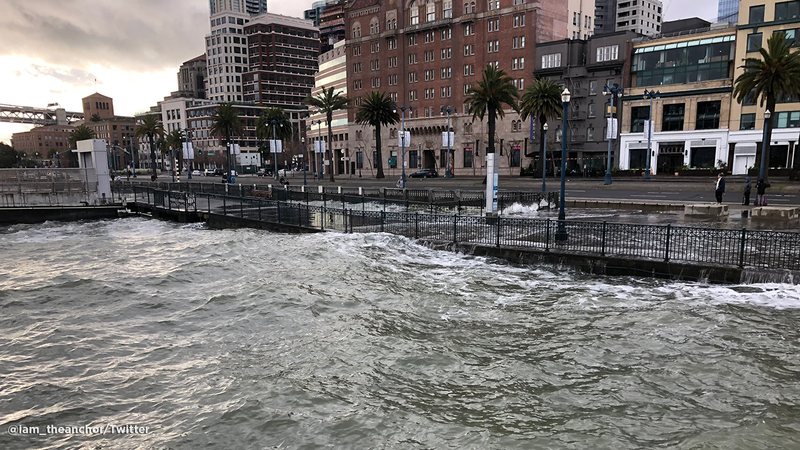 SAN FRANCISCO, Calif. (KGO) -- High tides caused flooding on the Embarcadero Saturday officials asked people for a short time to avoid part of the area. The advisory has been lifted. Flooded at Embarcadero between Howard and Mission has cleared. The San Francisco Department of Emergency Management tweeted for people to avoid the part between Howard Street and Mission Street. They also said that Pier14 has been closed. Officials say Gate G is currently open.